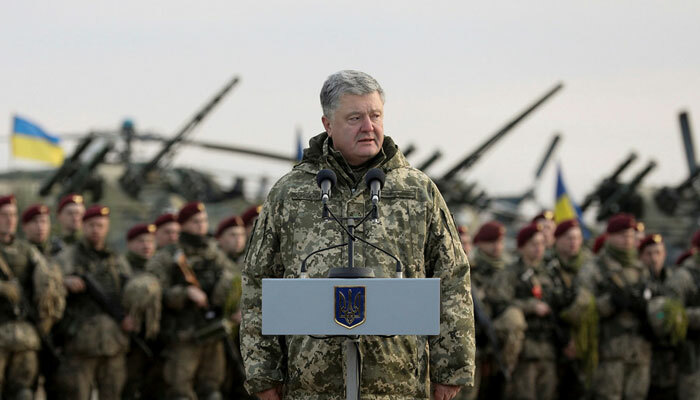 Namely, Petro Poroshenko wants the U.S. president to personally convey the message to Russian President Vladimir Putin at the upcoming G20 summit in Buenos Aires. Speaking at an economic forum in Moscow, he said the West is ready to forgive the shortcomings of Ukrainian politicians because they "propagate anti-Russian narratives", Reuters is reporting. The United States and the European Union have both imposed sanctions on Russia over its conduct towards Ukraine since 2014, when Moscow seized and annexed Ukraine's Crimea peninsula after a pro-Russian leader was toppled in Kiev. Major fighting ended with a 2015 ceasefire but deadly exchanges of fire are still frequent. Russia's Southern Military District spokesman Vadim Astafyev told Interfax on Wednesday that a fourth S-400 battalion would soon be deployed in Crimea near Djankoy, a small town near the "border" with Ukraine. Russian servicemen drive S-400 missile air defence systems during the Victory Day parade, marking the 73rd anniversary of the victory over Nazi Germany in World War Two, at Red Square in Moscow, Russia May 9, 2018. This message reads: "Please leave Ukraine, Mr. Putin". On a recent trip to Ukrainian towns and villages by the Sea of Azov earlier this month, we saw how the situation on land has settled into a relative calm; both sides have dug in and fortified the front line. Interfax news agency quoted Russia's human rights commissioner, Tatyana Moskalkova, as saying on November 26 that 24 Ukrainian sailors were being detained. The seizure of the navy vessels drove tensions to their highest since 2015, when Moscow-backed rebels rose against the Kiev government in the eastern Donbass region, sparking a war that has killed tens of thousands.